A 45,000 DWT oil/chem tanker with a Cargo of gas condensate was involved in a collision in the approached to Jebel Ali port. The tanker was holed and caught fire spilling approx. 8,000 mt of condensate. During the emergency phase of the incident NRC were mobilised by Jebel Ali Port for Incident Management assistance and spill cleanup. 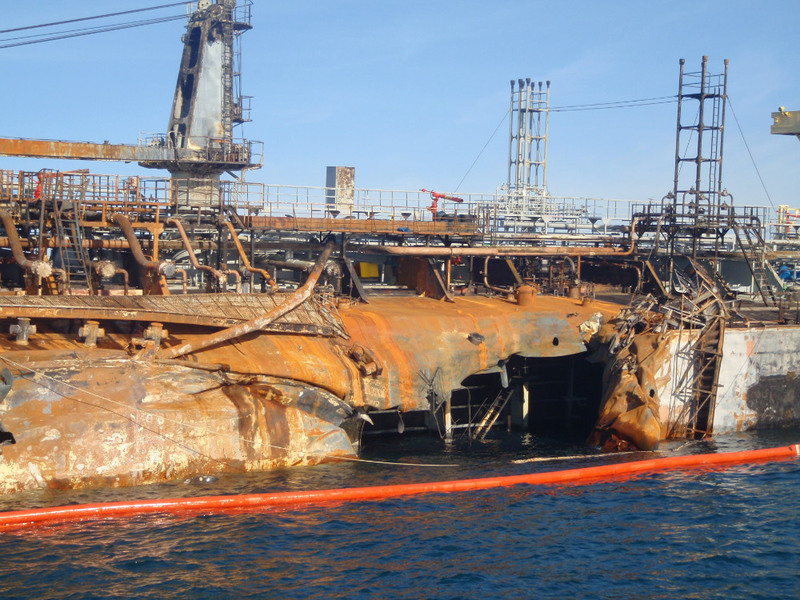 NRC were subsequently contracted by Titan Salvage to provide spill response and HSE services to the Salvors. 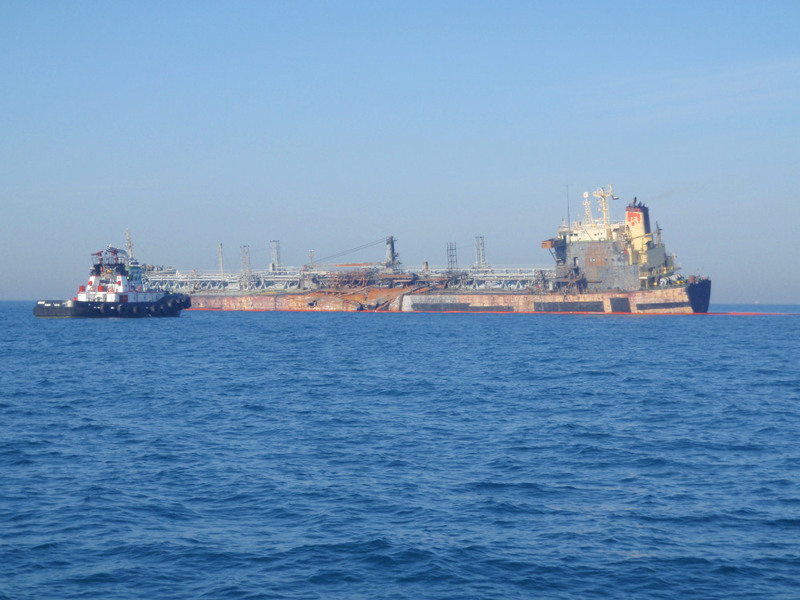 The operation was completed safely and the vessel was towed for scrapping. There were no injuries or environmental incidents as a result of the vessel salvage.